SaskPower is seeing some outages in south and central Saskatchewan. 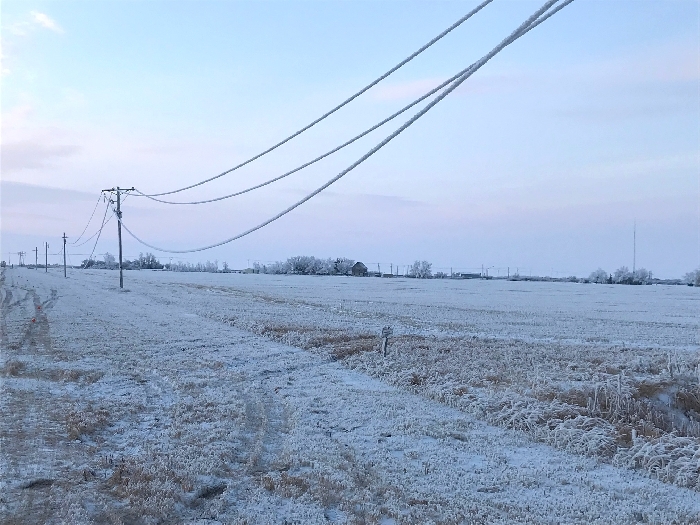 According to SaskPower, with the frost accumulating on electrical equipment they have seen numerous downed lines since Friday evening. It is critical to stay away from any downed power lines. These may appear as if they are not conducting electricity, but they may still be electrified. If you spot one, always stay at least 10 metres away. If someone is in danger, please call 911. Otherwise, call SaskPower’s outage line (306-310-2220) so that we can make it safe as soon as possible. This afternoon, power has been out in the Oxbow-Carnduff area because of the frost. In the town of Moosomin, there will be intermittent planned outages from Dec 3-6 between the hours 8:30am-4:30pm affecting residential customers for about 30 minutes per outage. Each customer should experience only one outage.